The world is divided into 2 types of people: those who wear watches and those who do not. Watches are personal objects which people wear – or don’t - for a variety of reasons, often having nothing to do with being able to tell the time. Early in the design process, we decided that this, Healbe’s flagship product, should be a ‘not a watch’. Aiming to have broad appeal, we tried to create a design which wouldn’t compete with a watch; a device which could potentially be worn with or without a watch on the other wrist. The challenge was to create a bracelet which was at once both iconic and low-profile. Something with it’s own identity, yet with which the owner could develop a personal connection. GoBe is a premium quality product, crafted with jewel-like attention to detail. The case is designed to naturally curve with the user’s body, immediately creating an intimate and comfortable link. It is made of a lightweight, hardened alloy and is waterproof and shock resistant. The innovative micro-perforation display shows critical information in an entirely new way: Individual micro-LEDs are precisely matched with corresponding holes machined into the smooth metal surface. It’s as though the display is invisible until the user needs it, creating a unique ‘insider’ relationship between user and object - while hinting at the advanced sensor technology within: like the multiple eyes of an evolved life form. 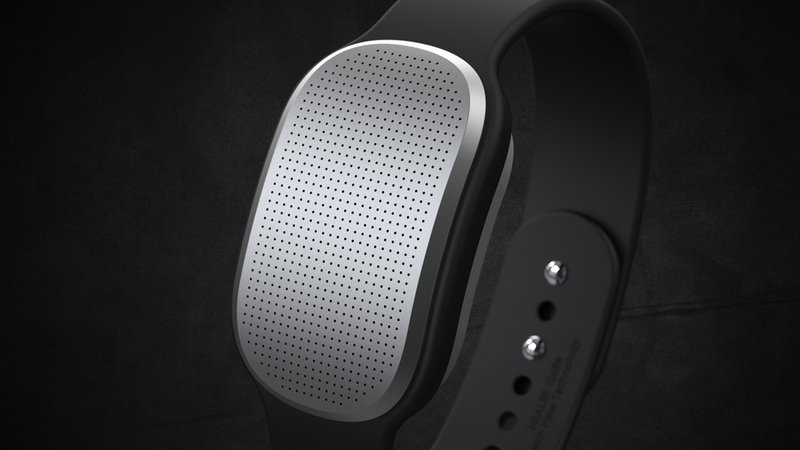 The band extends the case’s sleek design around the user’s wrist. It is made of high quality, hypoallergenic silicon for long lasting comfort, and will be available in a variety of personalized colors. In the near future we will be introducing new band styles, and Healbe will release design guidelines allowing third parties – and users – to make their own customized bands. 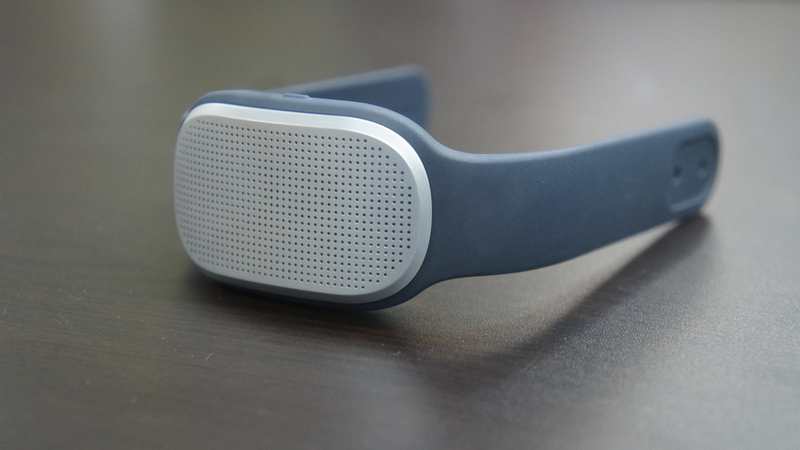 The story of Healbe is about giving you a new way to raise your body-consciousness. It’s like having a ‘third eye’ which helps you see yourself with a fresh perspective, allowing you to make choices about how you live your life everyday.